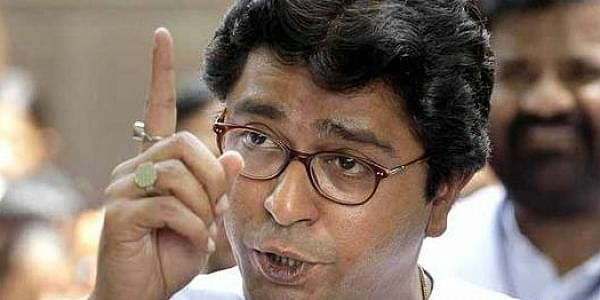 The 11 non-Marathi speaking candidates of MNS include Gujaratis, Catholics, Muslims, North Indians and South Indians. MUMBAI: Maharashtra Navnirman Sena, which has always taken a anti-migrant stand, has fielded 11 non-Maharashtrians out of its total 201 candidates for the Mumbai civic polls. Talking to PTI, party spokesman Vageesh Saraswat said all the eleven candidates are active members of the party and office-bearers in various frontal units. "They are not just non-Marathi speaking but deserving candidates who are living and working in the state and consider themselves a part of Maharashtra and Mumbai," he said. Saraswat claimed that his party was never against migrants. "We never agitated to drive away migrants and Hindi speaking people. Our stand has always been to strengthen Marathi language and people and ensure that the sons of the soil get priority in jobs," he said. "Those who consider themselves migrants (parprantiyas) have no right to stay in Maharashtra. We always give example of superstar Rajinikant, who despite being originally from Maharashtra, has lived and worked in Tamil Nadu and accepted Tamil culture and language," Saraswat said.